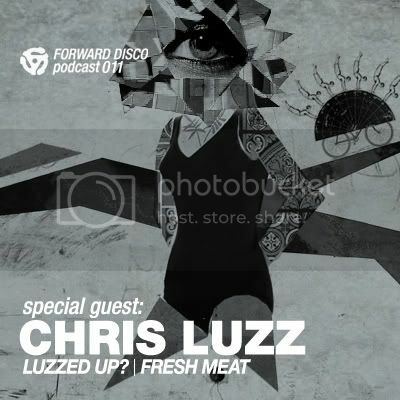 After recently playing with Chris at Stay in NYC, he sent us a groovy summer time nu-disco mix for the Forward Disco podcast. We caught up with Chris to get his thoughts on the mix and balancing his time a producer/DJ in the competitive NYC scene. 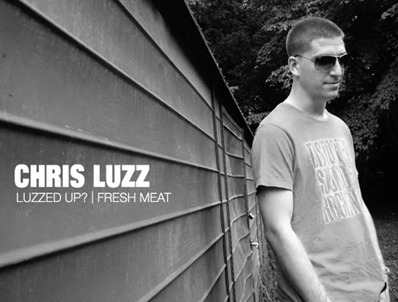 Chris, thanks for dropping this mix on us! We are really digging the pitched down style on this one. How did you approach the mix? Well, I been really feeling the more pitched down tracks as of late, to me they sound really fresh and unique. We were hammering BPM’s over 120 for years now, and lately I been really feeling tracks on a slower tip. Even producing them is more fun as you have so much more space to fit sounds and swing your percussion more than you would with a track at a faster bpm.. With that said, I approached the mix with a sleazy slung disco vibe in mind with a summer touch kind of like the name of the podcast suggests, ‘forward disco’ so I just kind of felt the flow of it and went to town, this mix was the product of that. You have recently partnered up with Kev Obrien, who has definitely been making a name for himself as well. Tell us a little about The Manhattan Project. Well, The Manhattan Project is a concept myself and Kev came up with to incorporate the sounds of New York City into our tracks. Were still undergoing the experimentation phase as to finding out what works and what doesn’t but the main focus is making a sound that’s organic and innovative. I’d say expect a few melodies, big basslines, ambient sounds recorded from the depths of NYC, sleazy percs and whatever comes out of our minds during the creative process. What would you say are your main influences are when producing and performing? Honestly, I came from a trance background in my youth, and no I wasn’t listening to Richie Hawtin or any of the ‘cool’ techno guys back in the day but one of my main influences that draw me to the whole dj’ing fiasco back in 2000 was Paul van Dyk. I’m obviously past the whole trance sound now but I still have an urge to implement melodies in my tracks as well as my dj sets. It’s something I’ll always want to incorporate, I just find it boring playing a set or producing a track that doesn’t go anywhere, or tells a story so to speak. That’s why I’ve been leaning towards making more song oriented material as oppose to tracks, it just sound seems like a more intricate way one could express themselves. What have been your highlights of the summer so far? Well, this summer honestly has been all about being away from clubs and venues thus far. I actually just came back from an amazing weekend in Vermont. For the second year in a row, we been throwing this amazing party called Pink in which we rent out 80,000 watts of sound from Mark Divine and throw this amazing weekend getaway at one of my friends cabin in Bridgewater Vermont. There are 2 different setups, one outdoors, and one indoors. It’s just spectacular and each year it grows more and more and we all share a special connection throughout the weekend that’s hard to describe. Another highlight is playing my friend Rob’s rooftop in Brooklyn.. He just renovated it and had a get together with a bunch of us and we just jammed out the whole day into the night, was a ton of fun as well. And of course our annual Respect The Groove BBQ at my friend George’s house in which we cook a whole lamb which is quite tasty and delicious might I add, along with some block rocking beats, no sir-e bob, can’t go wrong there In terms of releases, myself and Kev just finished 2 new remixes, one for Loco Records of a track by Qmusse – What Is Jazz? And another one from Marvin Zeyss, called Between Your Legs which will be getting a release on a new label called UM Records. You can check out clips of them both on my soundcloud and they should be seeing the light of day in September. Were also working on our first Manhattan Project remix for a track by Everen Ulusoy which will come out soon, not sure when as we still need to finish it. Were also working on some original Manhattan Project material as well but like I said previously, still under the experimentation phase with it. Hopefully when it starts getting colder out, will be putting loads of more hours in the studio, summer months are always hard to get cranking on tunes. Aside from nights spent in the dark clubs and days spent in the studio, what are some of your favorite places to get away from it all and just relax?